The nine Indian scripts that will be initially fed in root servers of ICANN are Bengali, Devanagari, Gujarati, Gurmukhi, Kannada, Malayalam, Oriya, Tamil and Telugu. Global internet servers are expected to be ready by June to enable people to register complete website name in nine Indian scripts, according to Universal Acceptance Steering Group. At present, website name can be booked in several non-English scripts including Mandarin, Arabic, Russian, Devanagari etc. However, top-level domain (TLD) -- which is the second part on the right side of the dot of a website address -- can be booked only in a limited set of characters identified by root server. As of now, people can book website name in Devanagari script and only .bharat in this script is available as an extension. The nine Indian scripts that will be initially fed in root servers of ICANN (Internet Corporation for Assigned Names and Numbers) are Bengali, Devanagari, Gujarati, Gurmukhi, Kannada, Malayalam, Oriya, Tamil and Telugu. "Label Generation Rules (LGR) for nine language scripts that are used in India are expected to be finalised in a quarter and will be fed in root servers that are managed by ICANN by June. "LGR in root servers will identify characters in Indian scripts. This will allow people to choose complete name of website as per their choice," Universal Acceptance Steering Group (UASG) Chairman Ajay Data told PTI. Data is the first Indian to hold the position in UASG that has been set up with the support of custodian of global internet ICANN. UASG is working to finalise standard characters of non-English scripts to be accepted by internet system globally. Under the new system, people will be able to use any name, word, a combination of letters in the nine Indian scripts after ICANN accepts it and completes the process of allocating the system to various bodies across the globe that will facilitate registrations. "We are only waiting for a response from Bangladesh to complete recommendations for Bangla script," Data said. He said the new scripts are required to connect over a billion people who can understand, read and write in their local language. "This will also solve data security and localisation issue to a large extent. 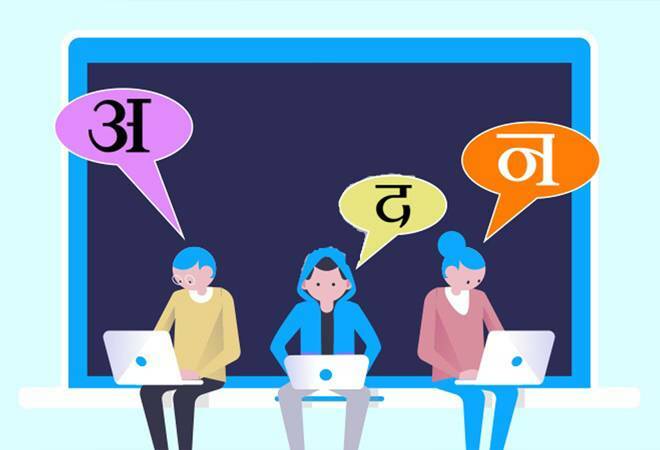 We will engage with Indian government, large enterprises, software and application developers, internet companies to accept e-mails and make their system universally acceptable to enable next one billion non-English speaking people come online," Data said. UASG has also been given a task to finalise standards for full website name in Arabic, Hebrew, Chinese, Japanese, Korean, Cyrillic, Greek, Latin, Sinhala, Thai and Georgian scripts. "UASG will focus heavily on India, Russia, China, the UAE and Thailand as billions of people follow scripts that are used in these countries," Data said. ICANN expanded TLD system from traditional .com, .org, .net to generic names in 2012. It invited applications from companies, organisations and individuals in 2012 who can come up with USD 185,000 (over Rs 1 crore) to buy specific words that will replace the present TLD names and other usual suffixes on their website addresses.